The programme is structured for improvisers, composers and classical performers. 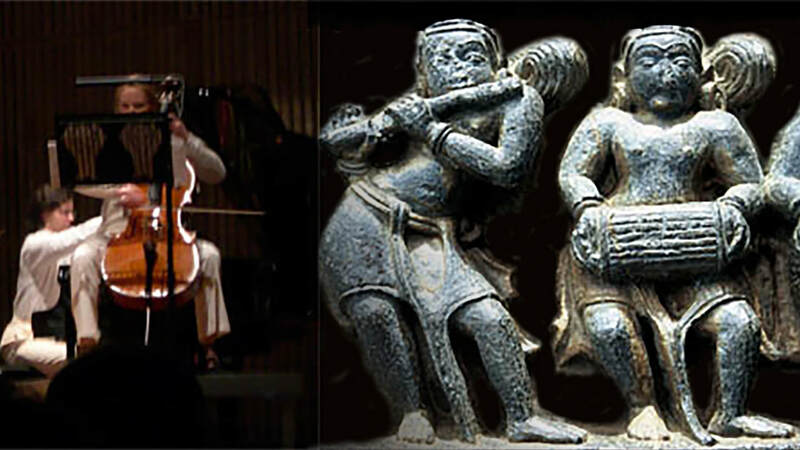 The common denominator is the deep study of rhythmical techniques and concepts derived from the theory of South-Indian classical music (also known as 'Karnatic' music). Students undergo an intense study of these techniques and concepts in order to use them either as creative tools, to enhance the compositional and/or improvisational possibilities within a western framework or, as a powerful analytical and practical tool to dissect and accurately perform western contemporary compositions. The four-year programme Contemporary Music through Non-Western Techniques and its trimester-long introduction Advanced Rhythm developed by Rafael Reina and taught at the Amsterdam Conservatoire, supply the training to address the rhythmical demands of 20th and 21st Century music. ​Rafael Reina’s book, Applying Karnatic Rhythmical Techniques to Western Music is available from Routledge in hard cover, paperback and as an ebook. Rafael Reina has recently completed a PhD at the University of Brunel in London on the pedagogical and creative applications of Karnatic rhythmical structures to Western music. Rafael Reina offers Master classes to higher music education institutions and has taught around Europe, most recently at Cambridge University, Leeds College of Music, Birmingham Conservatoire, UK; ESMUC, Barcelona, Spain and Academy of Music, Tallinn, Estonia. Reina has composed music for numerous contemporary music ensembles, in addition to writing several operas and composing for orchestra. Some of Reina’s large oeuvre of music for percussion is available from Edition Svitzer and some of his pieces for recorder are available from Edition Tre Fontane.